The PSLV-C16 will put in orbit three satellites including an Indo-Russian satellite called Youthsat. The stage has been set for the launch of the Polar Satellite Launch Vehicle (PSLV-C16) from the first launch pad at Sriharikota on April 20 at 10.12 a.m., The Hindu reported. The PSLV-C16 will put in orbit three satellites — India's Resourcesat-2, an Indo-Russian satellite called Youthsat and a micro-satellite named X-Sat from the Nangyang Technological University of Singapore. The Launch Authorisation Board (LAB), which met at Sriharikota on April 16, cleared the rocket's lift-off. The LAB reviewed the readiness of the launch vehicle, the spacecraft systems and the ground stations, and authorised the 54-hour countdown. “Everything is going on well. Things are smooth. This is one of the standard launches by the PSLV,” said S. Ramakrishnan, Director, Liquid Propulsion Systems Centre (LPSC) of the Indian Space Research Organisation (ISRO). According to The Hindu report ISRO spokesman S. Satish said that during the countdown, the second and the fourth stages of the rocket would be filled with liquid propellants. Mandatory checks of the vehicle and the three spacecraft, including the charging of the batteries and pressurisation of the propellant tanks, would be done. Readiness of the launch infrastructure such as radar systems that track the vehicle and communication networks would be reviewed. Resourcesat-2, built by ISRO, is the primary satellite in this mission. 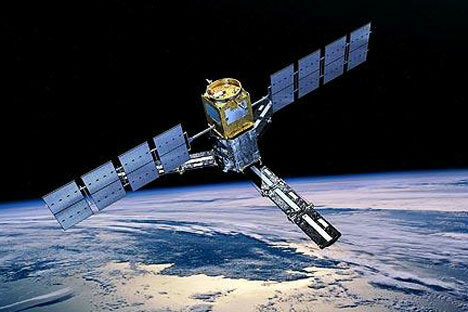 It is an advanced remote-sensing satellite, weighing 1,206 kg. The 92-kg Youthsat has been built by India and Russia, with one payload from Russia and two from ISRO. The satellite will be used for stellar and atmospheric studies, including watching the activities in the sun and their effect on the earth's upper atmosphere. The 106-kg X-Sat will be used for imaging applications.